Herkimer Diamonds are exceptional healing crystals and are used in meditations, dream work, vision work and advanced spiritualization applications. Meditating with a Herkimer may support you in letting go of unconscious fears and help in the overall expansion of your being. Some say that it will help to purify your energy field and attune you to the white light of the Divine. Herkimer Diamonds are extremely useful in healing your environment. It’s clarity, brilliance and high frequency facilitates the removal of energy blocks and stimulates healing by increasing the amount of light energy that your body can utilize. This product has a double use and will save you money. When used as a base coat, it provides even color application and long-lasting wear while protecting the nail plate from yellowing, stains and discoloration. When used as a topcoat, it creates a long-lasting shine and protection against chipping. 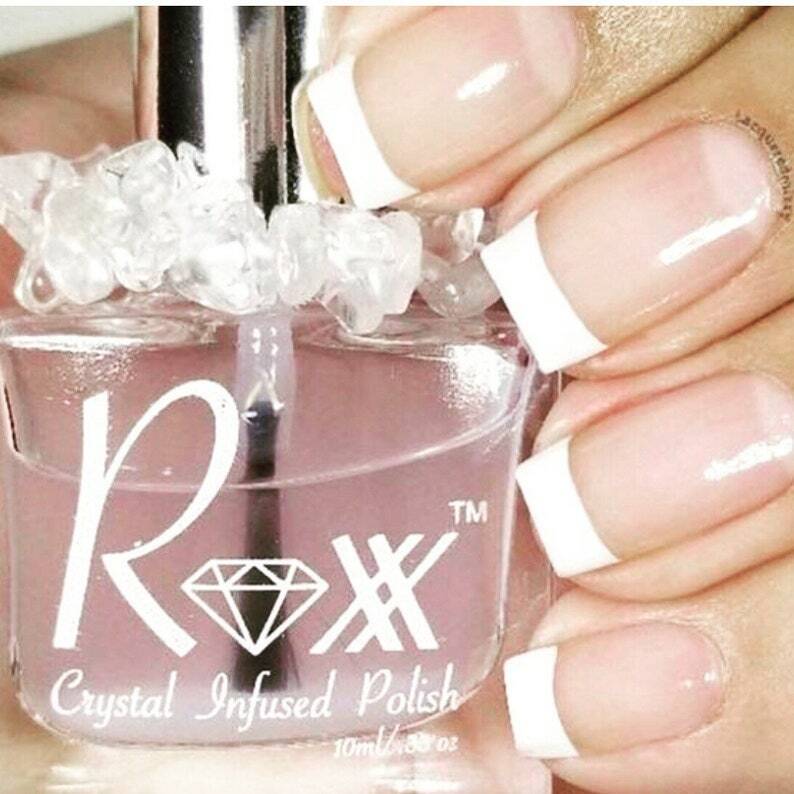 1-In-1, also contains a UV absorber which protects the polish from fading and yellowing. Free from the harsh chemicals Toluene, Formaldehyde, Formaldehyde Resin, DBP (Dibutyl Phthalate) and camphor. Application (Base Coat): Apply one coat to bare, clean nails. Allow to dry. Apply shaded polish as desired. Application (Top Coat): Apply one coat of fast drying topcoat to shaded nails. Love everything about this polish!!! I'm so glad there's a base/top coat. I actually just use this on it's own when I don't feel like doing color. It gives the perfect shine and lasts. Very satisfied :) A beautiful portion. I really like how this is used as a top coat. It serves me well, and I do feel the vibration of the crystal. Love it!